Making infused water with fruit and herbs! As a gardener I am always looking for new ways to use the tons of produce and herbs I harvest in the summer. It's also really hot out there while harvesting it! I have always carried a bottle of water with me and most times I added a slice of lemon to it, just to make it more tasty. After all, when you have a well the water isn't what you'd call yummy so adding a little something for flavor definitely helps! About 2 years ago a girl I know asked me for some cucumbers from the garden because she liked to add them to her water.....and my new fascination was born. Since then I have done my best to find as many water concoctions as I can and I think I've compiled a pretty good list. By getting an infusion water bottle I can also add herbs to my water without having them clog the bottle top. I love using herbs for both taste and medicinal qualities and this is a perfect way to use them fresh. 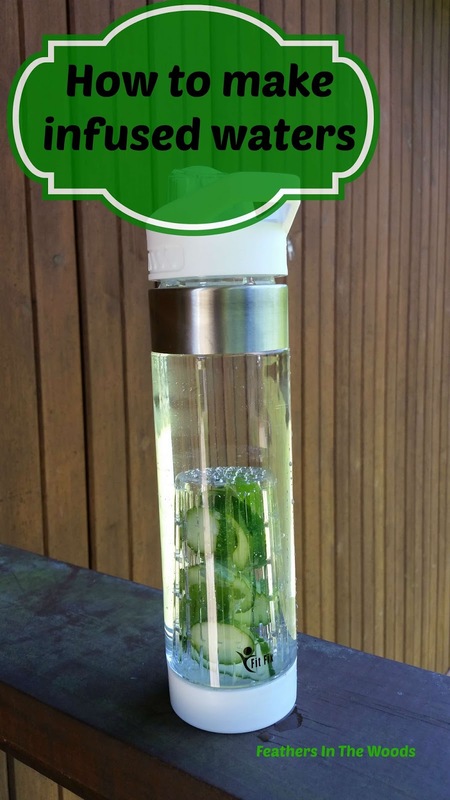 My current favorite is cucumber & basil water, though I have many different 'recipes' I've come up with. It's a pretty easy formula, just add fruit and herbs to a jug or bottle of water and you're good to go. You can muddle them slightly with a muddler for a stronger taste. You can add almost any fruit, though I find some grapes don't add much flavor and bananas just get gross. Cucumber, fennel and celery are the only vegetables I've tried so far, but anything your particularly fond of is worth a try. Same goes with herbs, if you're like it then give it a go! You can also add edible flowers like rose or hibiscus if you enjoy those flavors. Kiwi, while very pretty in my water bottle, does not add much flavor at all. So while I like to use it a lot, I don't expect a blast of flavor from it. 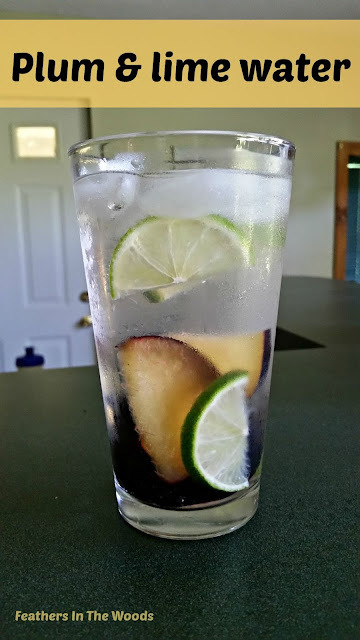 Citrus: If lime infused water is a little bitter, you can cut the rinds off to take the tart taste away. I find by changing lemons every few hours it also avoids a bitter taste. I bruise herbs slightly or tear larger leaves into smaller pieces before placing them in the water to release the flavor and healing qualities. Don't be afraid to experiment! Some flavors are stronger then others so you may only need 1 piece of pineapple, but twice as much strawberry. Experiment to find what suits your taste the best. Infusion basket on the bottom. I don't like the basket on top bottles at all. Halfway through the bottle the basket is above the water and not infusing at all. A basket on the bottom keep the fruit & herbs under water until the last drop. Complete disassemble. I like to be able to take the top and bottom off of my bottle so I can clean it completely. I'm using it daily and need to make sure there are no areas I can't reach to clean well. Dishwasher safe is even better. BPA free. I'm trying to drink clean here....no need for chemical additives in my bottle! I will say that an adequate water intake in crucial for good health, but beyond that do your research before believing any health claims. When it comes down to it, everything on the above list are things I consume anyway and you probably do too. Water is a crucial part of our health especially in the summer and if adding some fruit or herbs to it makes it go down easier (especially well water lol) then go for it! That water bottle is awesome! Thanks for the link, I drink a lot of infused water and tea this time of year. I love it! I want one!! Great idea ~ thanks for the link! Oh, that water bottle is very nice. We make mint water and lemon mint water at our house. It's so good this time of year. But the other combinations you shared sound so good too. Thanks for sharing at the Tuesday Garden Party. My wife does this some. I like the taste of our water, but adding blackberry may be in my future. Thanks for sharing on the Homestead Blog Hop. Hope to see you there this week. I usually make infused water at home. It helps me drink more water each day! Thank you so much for sharing these healthy, delicious infused water with fruit and herbs recipes at the Healthy Happy Green and Natural Party Blog Hop. I'm pinning and sharing. I love the freshness of infused water! You've given some great combinations. Thanks for sharing with SYC.